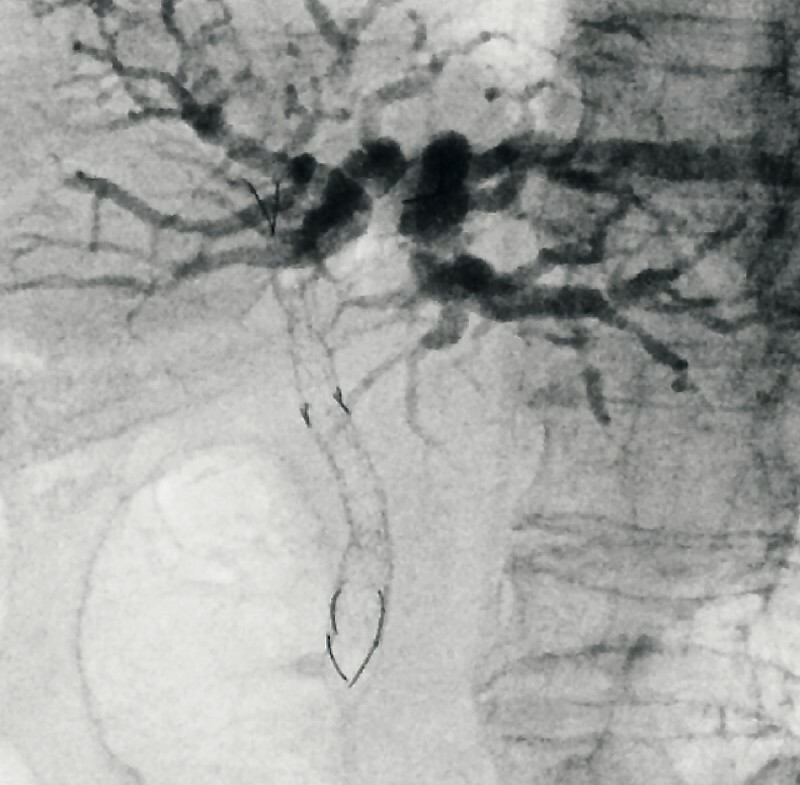 In endoscopic bilateral stent-in-stent placement (SIS) in patients with hilar malignant biliary obstruction (HMBO), success depends on second stenting   . 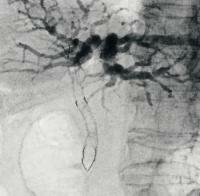 Some metallic stents employed in SIS are designed to be larger to allow easier second stenting  . However, these large cells also increase the risk of ingrowth, resulting in weaker radial force and making it impossible for the stent to expand fully, thereby making second stenting difficult. 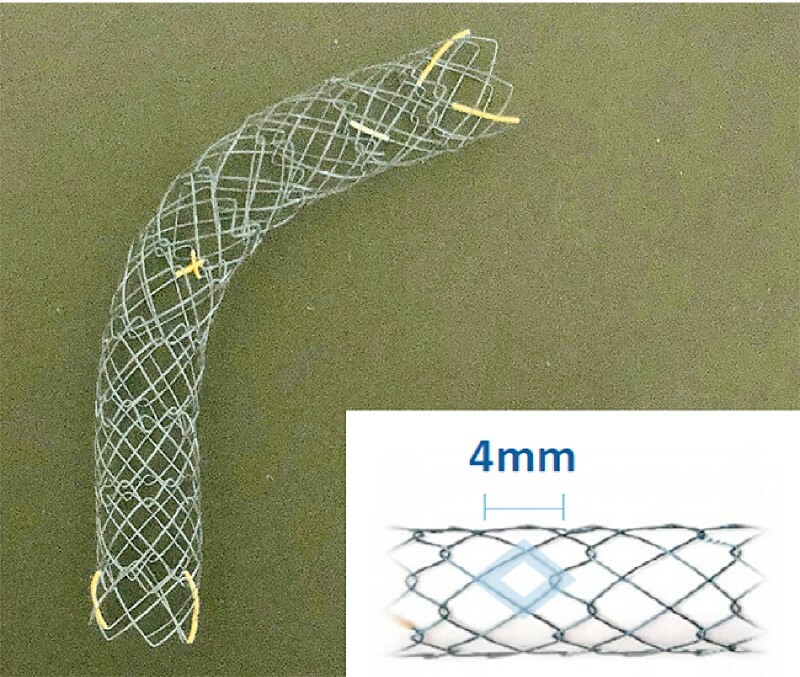 The Hilzo Biliary Moving Cell Stent (BCM Co., Ltd., Gyeonggi-do, South Korea) is a new metallic stent developed for SIS with a smaller cell size (4 mm) and the same high radial force all around the stent. The smaller cell size is expected to reduce ingrowth, and the high radial force results in higher expansion potential ([Fig. 1]). If the cell is small, second stenting during SIS can be difficult; however, the design of this novel stent allows each cell to expand from 4 mm to 10 mm ([Fig. 2]). This characteristic allows easier passage of the second stent through the cell. An 82-year-old woman presented with obstructive jaundice due to HMBO and SIS was attempted for drainage. 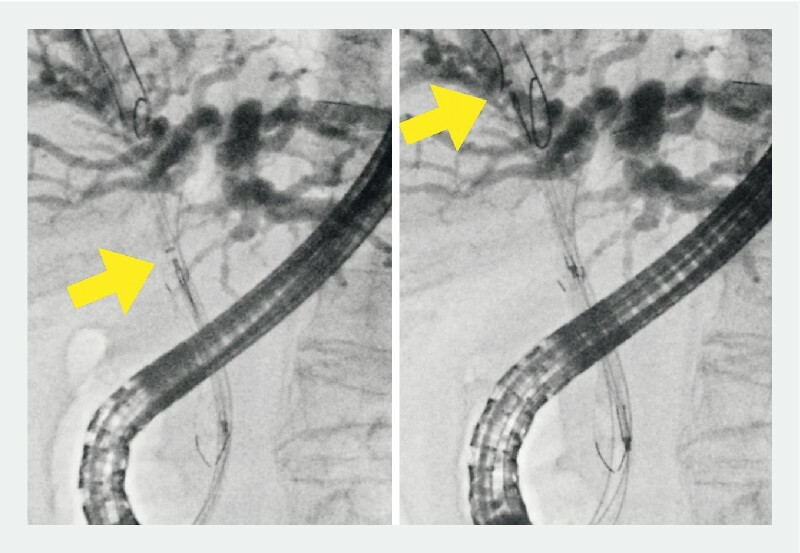 HMBO was confirmed via cholangiography and the first stent was inserted into the left bile duct through the hilar stricture and was successfuly guided to the right bile duct. Next, the contrast catheter was advanced under a guide and passed easily through the cell. We attempted to place the second stent without extending the mesh in the first stent. The tip of the second stent was easily passed through the cell without any resistance, and SIS was successful ([Fig. 3], [Fig. 4], [Video 1]). Fig. 3 We attempted to place the second stent without extending the mesh in the first stent. The tip of the second stent (arrow) was easily passed through the cell without any resistance. Fig. 4 Endoscopic bilateral stent-in-stent placement in patients with hilar malignant biliary obstruction using the novel stent was successful. Video 1 Novel metallic stent designed for endoscopic bilateral stent-in-stent placement in patients with hilar malignant biliary obstruction. 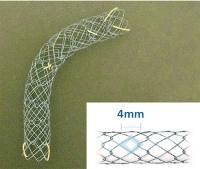 Source for stent: BCM. 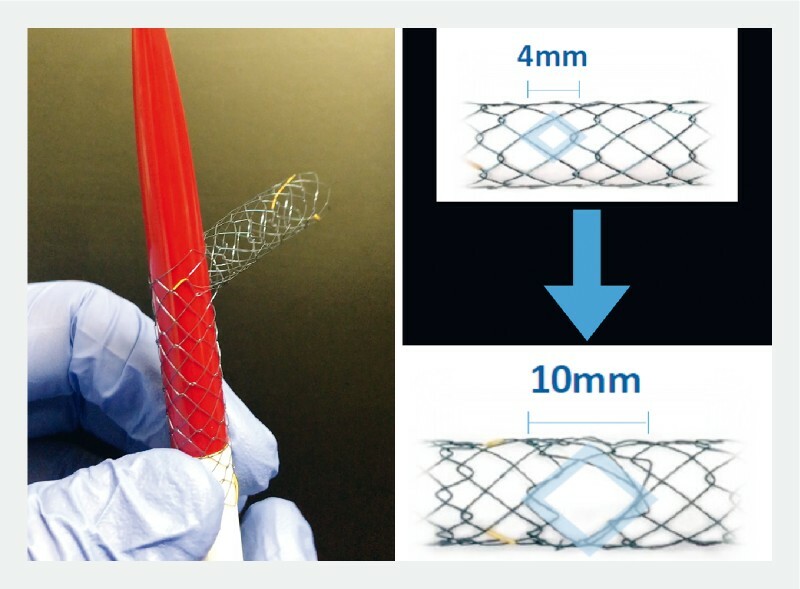 The flexible cells of this novel stent allow expansion and convenience during second stenting in SIS. This novel concept of each cell having the ability to expand has the potential to become a very useful option for SIS in patients with HMBO.